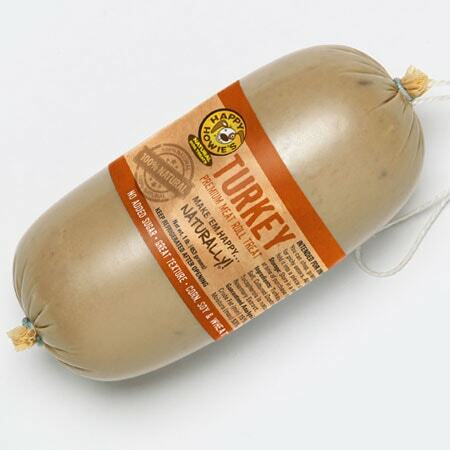 2-lb TURKEY ROLL – The preferred training treat of expert dog trainers throughout the country. Short on ingredients and large on flavor, these rolls make training easier and more fun. You can also use these rolls as a food topper or to hide a pill. 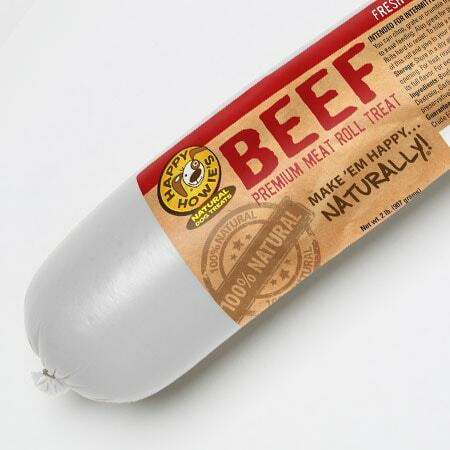 2-lb TURKEY ROLL – Happy Howie’s Premium Turkey Rolls are love at first bite! Our rolls are the only high-value training treat with fewer ingredients that doesn’t crumble in your hands. 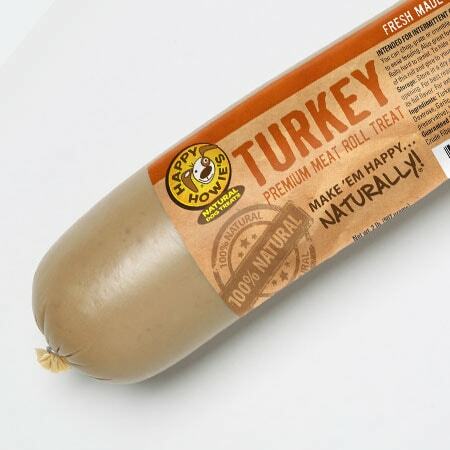 Made in the USA with all-natural turkey, these rolls cut up easily into smaller pieces and are an excellent way to hide pills, use as a food topper or simply to reward your dog! Find out why our deli-style Premium Turkey Rolls are the training treat preferred by expert dog trainers throughout the country. I use this 2 ways. I cut it up for treats and sometimes grate it and mix it in with her dry food. She loves it! These are my Go-To training treats. I have been training dogs for 6 years and these are hands down the most often dog approved high value treat. I do not go to a training session with out them! Sophie loves this treat. This is much better than other treats you can buy. Just need to cut them in small pieces. My St. Bernard is obsessed with these meat rolls! We use them as training treats when out walking on a leash, and they keep his attention forever! He has many allergies & never has any problems with Happy Howie’s. So glad we found these! Egbert loves these treats. I bought them at the recommendation of his trainer and they motivate him like other treats can’t (he’s a whippet so not always motivated to learn). My only issue is they do make him very gassy on days when he consumes a lot. My dog trainer turned me on to these for training my rescue Stella. I love that I’m able to cut small pieces so it lasts a long time. I keep them in the freezer and Stella will do just about anything for them. Great product and I feel good that it’s all natural too! These make great training treats.They cut easily ,dont crumble, and freeze great! 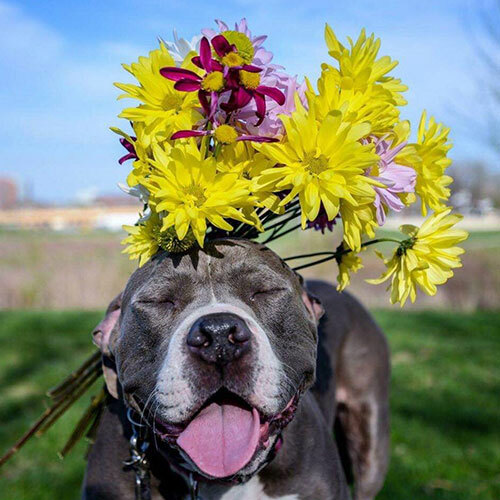 A dog trainer recommended your treat rolls as a training tool for our Pit Bull mix. I was looking for a treat that was like “crack” for dogs since she hasn’t been very motivated by the many different types of store bought treats I have given her. I was blown away by her reaction once she tried your turkey roll. I have her attention now!!! 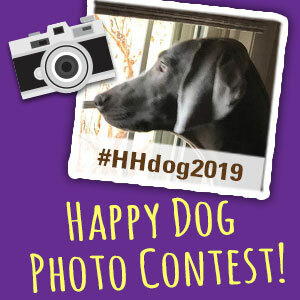 We won a roll of this product as part of a giveaway for a pet event. I had not heard of this brand before then. My two dogs go wild for the turkey roll. Both are very picky eaters and turn their noses up at most food and treats! Not this treat! Wow. .. will be buying more! My dogs love the turkey rolls. 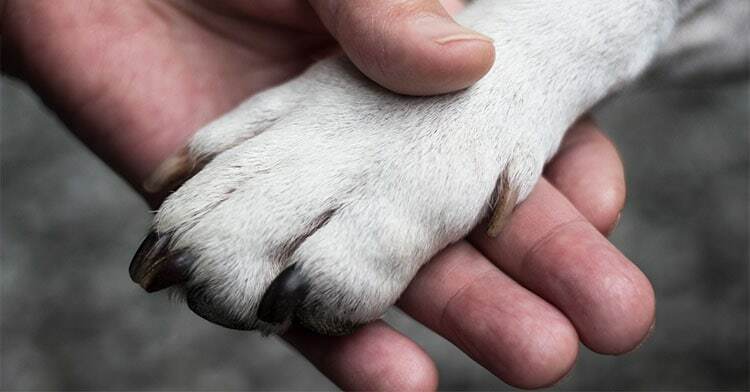 I use them as treats for training and when out walking to redirect their focus. I like that there is no sugar in these and I can feel good about using something good for them in their training. I have been training my dog in obedience and agility for 9+ years. 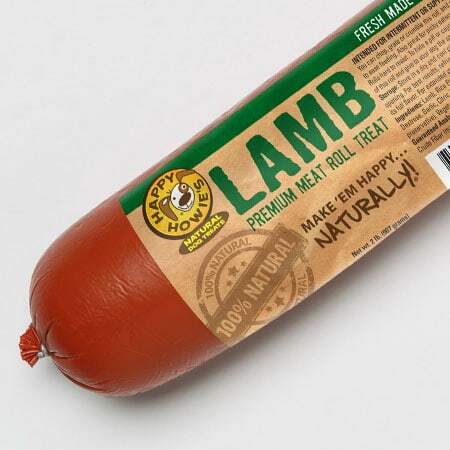 I used to use a different brand’s meat roll as a training treat and it would crumble and get slimy in my hands, which wasn’t fun. Then someone told me about Happy Howie’s meat rolls and I haven’t turned back! 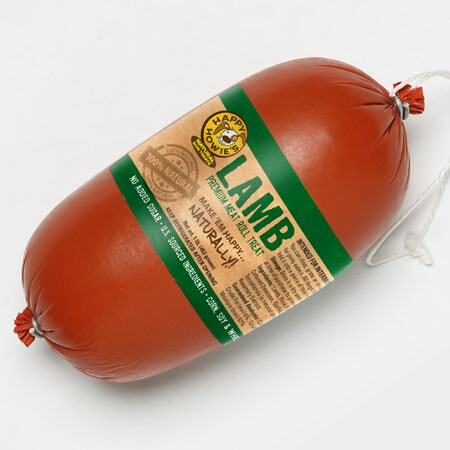 These meat rolls are the PERFECT training treat. My dog goes NUTS over it even though its been the weekly training treat for years! Turkey is his favorite flavor of them all. They are super easy to cut up and stay in your pocket or hand without crumbling or getting slimy. I usually slice the roll, cut it into bite sized pieces, and will freeze some of it so its ready for me to just grab prior to our next agility class. 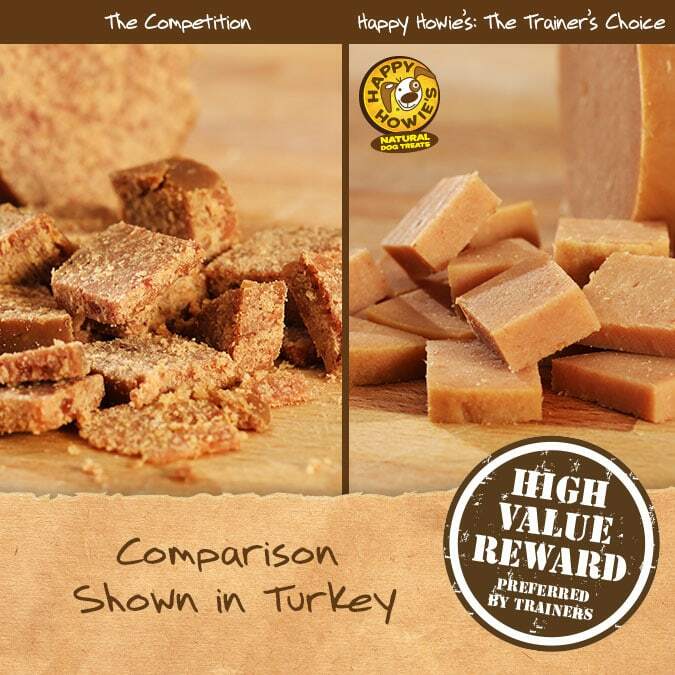 My dog and I both LOVE Happy Howie’s as a training treat, wouldn’t use anything else! I found out about these treats from our wonderful trainer. He told us that they are the best treats he has found out there for training, the roll can produce over 900 small treats for training and won’t crumble. My dog loves these and we have tons of fun training with them. My dog loves the turkey flavor more than the beef and will do anything for them! I love how they cut up into tons of treats that are all natural. However, my turkey roll crumbled when I cut it up. Perhaps I just got a bad roll because the beef roll didn’t crumble at all. I would still recommend this product!